Santa Marta, Rio de Janeiro | ride. travel. live. 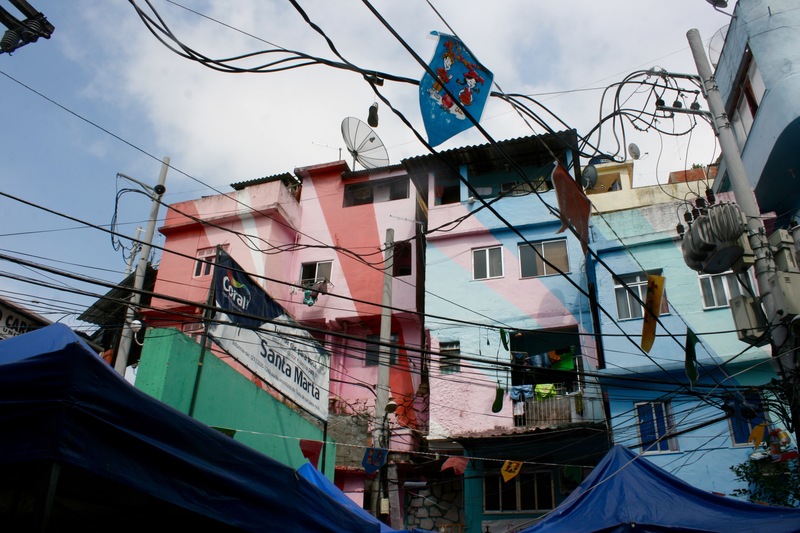 With a local guide, I took a tour of the neighborhood Santa Marta, a densely populated, narrow strip of houses that crawl up a hillside in Rio de Janeiro, rising above the upper middle class neighborhood of Botafogo. 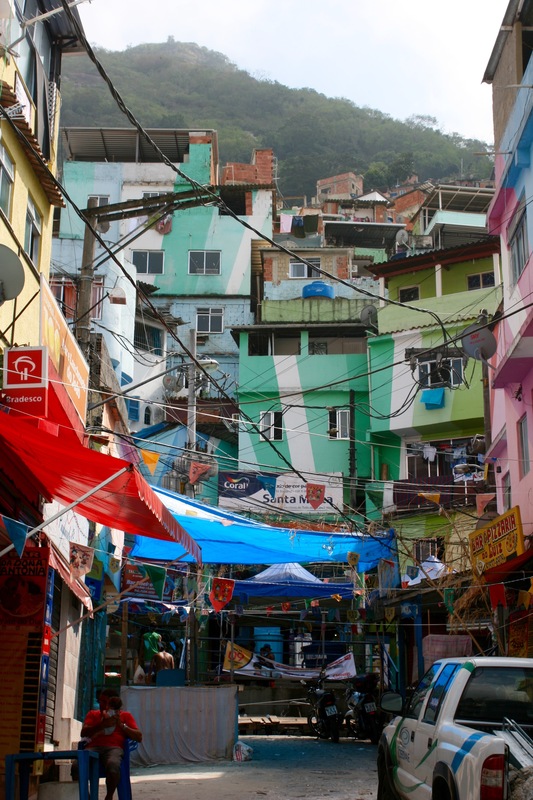 This is one of Rio’s many favelas, in a city where class differences and economic inequality are in plain sight, and make for a tense atmosphere throughout the city. Santa Marta has been slowly integrated into the city’s infrastructure, facilitated by the construction of a funicular line that made getting to the upper levels of the neighborhood much easier. I recommend this for any visitor to Rio interested in learning about the city beyond the beaches and tourist sites, go with a local guide, and preferably in a small group. The tours typically start near the bottom of the funicular and start with the ride up to the top, slowly winding back down to the base. 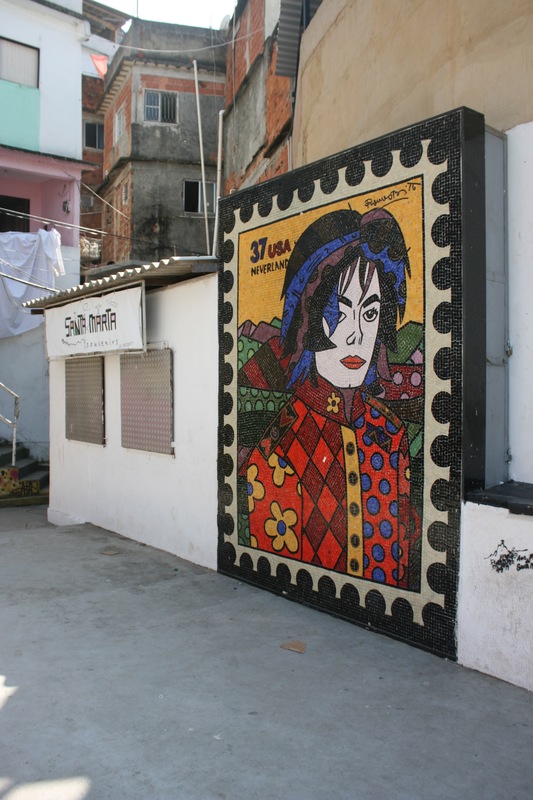 The neighborhood was brought to the world’s attention during the filming of Michael Jackson’s video for his song ” They Don’t Care About Us”. Residents still speak fondly about Jackson, and I met one shop owner who proudly remembered her role as an extra in the video. 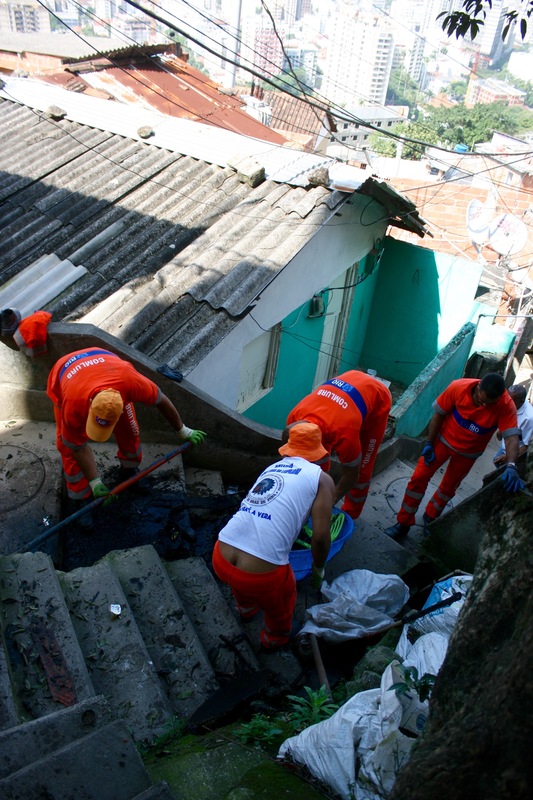 While the attention to the neighborhood faded, it was one of the first favelas to be ‘pacified’, and it looks like some areas are showing marked improvement, with shops, restaurants, and community centers setting up near the base. A recent paint job carried out by residents has turned this into a pretty photogenic site, but again it’s cosmetic. Still, parts are still in bad repair, life can be especially miserable after a heavy rain, and many obstacles remain for residents of the neighborhood. What’s Brazil without a nice splash of colors?